When the concept of reverse mentoring burst on the scene in the multigenerational workplace, it was all about having cool 20-somethings teach the older crowd how to use “the Facebook.” Now most generations are pretty savvy—in fact their takeover of Facebook has sent Gen Z scurrying to Instagram or Snapchat. But that doesn’t mean that they still can’t learn a thing or two from the younger generation—and vice versa. 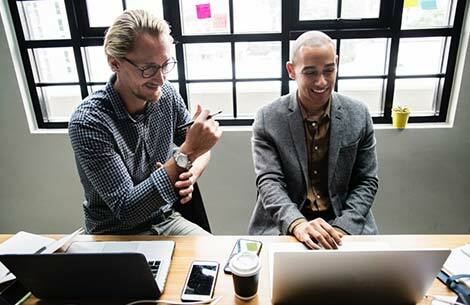 Here are some recent articles that show how mentoring and reverse mentoring can boost success in the multigenerational workplace. “Those newest to the workforce still value work-life balance, yet are more driven than ever to pursue their dream jobs. Gen Z-ers carefully evaluate and prioritize the quality of the people around them in the office. Help Gen Z hires along the way by surrounding them with people who challenge them intellectually and mentors who spur conversation and let them see the broader impact of their work.” — Read more at Forbes.com. “The implicit exchange that can occur [between Millennials and Baby Boomers] is DQ (digital intelligence) for EQ (emotional intelligence). Many young people are digital natives who really understand how the technology ecosystem works. They can reverse-mentor Boomers and Gen Xers around the digital intelligence that companies want today. At the same time, older workers can provide emotional intelligence, which involves so-called soft skills like how to listen, show empathy and cooperate with others. Unlike IQ, EQ can grow over time and with experience.” — Read more at Society for Human resource Management. “If you’ve reached the C suite or have attained a secure spot at the top of your chosen profession, it’s time to start thinking about becoming a mentor…the executive or master stage is defined more by competence than age. You’ll know you’ve reached this stage when you have valuable wisdom and experience that can benefit others. For example, you may be a 28-year-old tech master, ready to mentor middle-aged but less experienced people in your field. The point is that you’ve become a leader and now it’s your turn to cultivate future leaders.” — Read more at Fast Company.